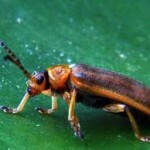 The Oregon Department of Agriculture’s (ODA) latest efforts to quell an invasive species has led to a massive beetle infestation in the Sellwood and Westmoreland neighborhood of Portland. The ODA first introduced the Galerucella beetle to Oregon in 1992 and released them into the Oaks Bottom wetland ten years ago to control the growth of Purple Loosestrife. 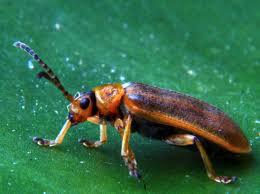 Residents of Sellwood and Westmoreland are now experiencing a drastic infestation of the beetle in their yards. The beetle has reportedly expanded its eating habits to residents’ crepe myrtle, roses, and tomatoes. Instead of offering an apology to residents, the ODA decided to issue a press release blaming the infestation on a “perfect storm” of factors including hotter and drier weather conditions and favorable water conditions that have led to surge in the beetle’s population. Furthermore, the ODA, in the release, redirects the public attention to the dire need for this method of “biocontrol”, claiming the Purple Loosestrife, a wetland plant with a purple flower enjoyed by bees and butterflies alike and utilized against diarrhea and dysentery for its medicinal properties, is overly abundant and that the plant would cause $28 million in economic damage if it were to spread throughout Oregon. Tinkering with the environment has long been a pastime of state and federal regulators. They have attempted to get the proper levels of all the ingredients so that it can cement in permanency its function as an environmental arbiter. And citizens are beginning to pay attention. Environmental organizations such as Friends of the Animals are speaking out against the U.S. Department of Fish and Wildlife’s (USDFW) killing of the barred owl to help promote the Spotted Owl’s habitat. The Center for Biological Diversity recently issued a press release against similar actions the USDFW was taking in the slaughter of Cormorants in the Columbia River Basin in an effort to encourage salmon and steelhead. Few could argue that government has, at times, played an important role in reducing the human footprint. But like Mr. McGoo, state and federal regulators can also be, at times, the source of enormous disaster as we saw with the Environmental Protection Agency’s (EPA) toxic spill into the Animus River this past week that release lead, arsenic and cadmium into the flowing waters. The United States Department of Energy (USDOE) is in charge of the cleanup at the government-created Hanford Nuclear Reservation, wastes of which still gravely threatens Oregon and Washington. A footprint is still a footprint. Environmental tinkering has an impact on all our lives. Our efforts to reduce this footprint might be a difficult pill to swallow for government and many organizations that base their efforts on reduction of invasive species for biodiversity. But reducing our footprint is simply a way of saying, we are not greater than nature but are a part of it and we accept its principles in the balance of our ecosystems, recognizing that our own tinkering can often be disruptive. For now, the ODA is literally in Portland residents’ backyards. There is no sure determination that the infestation is going to dissipate and not return next year when weather conditions could possibly be just as favorable to the little bugs.